THE LASKY CLINIC SURGICAL CENTER, INC. The Lasky Clinic Surgical Center, Inc. must collect timely and accurate health information about you and make that information available to members of your health care team in this agency, so that they can accurately diagnose your condition and provide the care you need. There may also be times when your health information will be sent to service providers outside this agency for services that this agency cannot provide. It is the legal duty of The Lasky Clinic Surgical Center, Inc. to protect your health information from unauthorized use or disclosure while providing health care, obtaining payment for that health care, and for other services relating to your health care. The Notice describes how The Lasky Clinic Surgical Center, Inc. may use and disclose your protected health information. This Notice also sets out the Agency’s legal obligations concerning your protected health information and describes your rights to control and access your health information under the Health Insurance Portability and Accountability Act of 1996 (“HIPAA”), as amended by the Health Information Technology for Economic and Clinical Health Act. This Notice has been drafted in accordance with the HIPAA Privacy Rule, contained in the Code of Federal Regulations at 45 CFR Parts 160 and 164. Terms not defined in this Notice have the same meaning as they have in the HIPAA Privacy Rule. This Notice of Privacy Practices is effective Jan 1, 2013. Please review this document carefully and ask for clarification if you do not understand any portion of it. The Lasky Clinic Surgical Center, Inc. is required by law to maintain the privacy of your protected health information and provide you with certain rights with regard to your protected health information. It is obligated to provide you with a copy of this Notice setting forth the Agency’s legal duties and its privacy practices with respect to your protected health information. The Lasky Clinic Surgical Center, Inc. and any of its business associate must abide by the terms of this Notice. Your protected health information may be used and disclosed where it is necessary for the purpose of providing health care services to you. Your protected health information may also be used and disclosed to pay your health care bills and to support the operation of your physician’s practice. Business Associates. The Lasky Clinic Surgical Center, Inc. contracts with service providers – called business associates – to perform various functions on its behalf. For example, we may contract with a service provider to perform the administrative functions necessary to pay your medical claims. To perform these functions or to provide the services, business associates will receive, create, maintain, use, or disclose protected health information, but only after The Lasky Clinic Surgical Center, Inc. and the business associate agree in writing to contract terms requiring the business associate to appropriately safeguard your information. Treatment. The Lasky Clinic Surgical Center, Inc. may use or disclose personal health information in order to provide, coordinate, or manage your health care and related services. This includes sharing your health information with other health care providers, both within and outside this agency, regarding your treatment when we need to coordinate and manage your health care. For example, we may share your health information with doctors, nurses and other health care personnel who are involved in providing your health care. Sharing health information can be essential for your protection and quality care. Payment for Services. The Lasky Clinic Surgical Center, Inc. may use and give your health information to other staff and health plans you designate to bill and collect payment for the health care services received by you. We may share information with your health plan to determine coverage status prior to scheduled services. We will share adequate information with departments that prepare bills and manage client accounts in order to ensure payment for services rendered. We may share your health information with agents of your insurance company or health plan to confirm services that were provided to you. Health Care Operations. The Lasky Clinic Surgical Center, Inc. may use or disclose, as needed, your protected health information in order to support the business activities of our practice. These “health care operations” allow us to improve the quality of care we provide to you and our other clients and help us to reduce health care costs. Such activities include, but are not limited to, quality assessment activities, employee review activities, training of medical students, licensing, and conducting or arranging for other business activities. We may also use or disclose your protected health information, as necessary, to provide you with information about treatment alternatives or other health-related benefits and services that may be of interest to you. The Lasky Clinic Surgical Center, Inc. may use or disclose your demographic information and the dates that you received treatment from your physician, as necessary, in order to contact you for fundraising activities supported by our office. If you do not wish to receive materials of this nature, please contact the clinic administrator Jennifer Walby at (310) 277-4572 and request that these fundraising materials not be sent to you. Required by Law. We may use or disclose your protected health information to the extent required by federal, state, or local law. Public Health Activities. We may use or disclose your protected health information for public health activities that are permitted or required by law. For example, a disclosure may be made for the purpose of preventing or controlling disease, injury or disability. Health Oversight Activities. We may disclose protected health information to health oversight agencies for purposes of legally authorized health oversight activities, such as audits and investigations necessary for oversight of the health care system and government benefit programs. Lawsuits and Other Legal Proceedings. We may disclose your protected health information in the course of any judicial or administrative proceeding or in response to an order of a court or administrative tribunal (to the extent such disclosure is expressly authorized). If certain conditions are met, we may also disclose your protected health information in response to a subpoena, a discovery request, or other lawful process. Abuse or Neglect. We may disclose your protected health information to a government authority that is authorized by law to receive reports of abuse, neglect, or domestic violence. Additionally, as required by law, if we believe you have been a victim of abuse, neglect, or domestic violence, it may disclose your protected health information to a governmental entity authorized to receive such information. Law Enforcement. Under certain conditions, we also may disclose your protected health information to law enforcement officials for law enforcement purposes such as responding to a court warrant, grand jury subpoena and other law enforcement purposes; as necessary to locate or identify a suspect, fugitive, material witness, or missing person; or as relating to the victim of a crime. Essential Government Functions. An authorization is not required to use or disclose protected health information for certain essential government functions. Such functions include: assuring proper execution of a military mission, conducting intelligence and national security activities that are authorized by law, providing protective services to the President, making medical suitability determinations for U.S. State Department employees, protecting the health and safety of inmates or employees in a correctional institution, and determining eligibility for or conducting enrollment in certain government benefit programs. Workers’ Compensation. We may disclose your protected health information as authorized by and to comply with, workers’ compensation laws and other similar programs providing benefits for work-related injuries or illnesses. Others Involved in Your Health Care. We may disclose your protected health information to a friend or family member that is involved in your health care. Disaster Relief. We also may disclose your information to an entity assisting in a disaster relief effort so that your family can be notified about your condition, status, and location. If you are not present or able to agree to these disclosures of your protected health information, then, using professional judgment, we may determine whether the disclosure is in your best interest. Coroner and Funeral Directors. We may disclose protected health information to funeral directors as needed, and to coroners or medical examiners to identify a deceased person, determine the cause of death, and perform other functions authorized by law. Organ Donation or Tissue Donation. We may use or disclose protected health information to organizations involved in procuring, banking or transplanting organs and tissues. Change of Ownership. In the event that the Lasky Clinic Surgical Center, Inc. is sold or merged with another organization, your health information/record will become the property of the new owner, although you will maintain the right to request that copies of your health information be transferred to another physician or medical group. Disclosures to the Secretary of the U.S. Department of Health and Human Services. We are required to disclose your protected health information to the Secretary of the U.S. Department of Health and Human Services when the Secretary is investigating or determining the Agency’s compliance with the HIPAA Privacy Rule. YOUR RIGHTS – The following is a description of your rights with respect to your protected health information. Right to Inspect and Copy Your Protected Health Information. You have the right to inspect and copy protected health information that may be used to make decisions about your benefits. You must submit your request in writing. For your convenience, you may request a form using the Contact Information at the end of this Notice. Such requests will be fulfilled within 30 days where possible. If you request copies, we may impose reasonable copy charges (which may include a labor charge), as well as postage if you request copies be mailed to you. You may also request that we disclose your protected health information to an individual who has been designated by you as your personal representative and who has qualified for such designation in accordance with relevant law. Prior to such a disclosure, however, we must be given written documentation that supports and establishes the basis for the personal representation. that is subject to law that prohibits access to protected health information. Depending on the circumstances, a decision to deny access may be reviewable. In some, but not all, circumstances, you may have a right to have this decision reviewed. Right to Request a Restriction. You have the right to request that The Lasky Clinic Surgical Center, Inc. restrict use or disclosure of protected health information for treatment, payment or health care operations, disclosure to persons involved in the individual’s health care or payment for health care, or disclosure to notify family members or others about the individual’s general condition, location, or death. We are under no obligation to agree to requests for restrictions. In circumstances in which we do agree to a restriction, we will comply with the agreed restrictions, except for purposes of treating you in a medical emergency. Right to Non-Disclosure to Health Plan. A patient that pays in full for their services out of pocket have the right to demand that the information regarding the service not be disclosed to the patient’s third party payer since no claim is being made against the third party payer. Right to Request Confidential Communications. You have the right to request an alternative means or location for receiving communications of protected health information by means other than those that The Lasky Clinic Surgical Center, Inc. typically employs. For example, you may request that we communicate with you through a designated address or phone number. Similarly, you may request that we send communications in a closed envelope rather than a post card. We will also accommodate reasonable requests if you indicate that the disclosure of all or part of the protected health information could endanger you. We will not question your statement of endangerment. Any confidential communication request must be done in writing and must explain how any payment will be handled. Right to Request an Amendment. The Rule gives individuals the right to have covered entities amend their protected health information in a designated record set when that information is inaccurate or incomplete. If we accept an amendment request, we will make reasonable efforts to provide the amendment to persons that you identify as needing it and to persons that we know might rely on the information to your detriment. If the request is denied, we will provide you with a written denial and allow you to submit a statement of disagreement for inclusion in the record. Furthermore we will amend protected health information in our designated record set upon receipt of notice to amend from another covered entity. Right to Request an Accounting. You have a right to an accounting of the disclosures of your protected health information by The Lasky Clinic Surgical Center, Inc. or any business associates with whom we do business. The maximum disclosure accounting period is the six years immediately preceding the accounting request, except we are not obligated to account for any disclosure made before our Privacy Rule compliance date. (h) incident to otherwise permitted or required uses or disclosures. Accounting for disclosures to health oversight agencies and law enforcement officials must be temporarily suspended on their written representation that an accounting would likely impede their activities. Right to Opt out of Fundraising Communications. You have the right to opt out of any fundraising communications that eminent from (Agency Name) or any business associates with whom we do business. Treatment or payments are not conditioned upon whether or not you choose to receive or opt out of such communications. If at any time you wish to opt back in to fundraising communication, you may do so. To elect or change your fundraising communication preferences, please contact the appropriate person using the Contact Information at the end of this Notice. Right to be Notified of a Breach. You have the right to be notified in the event that The Lasky Clinic Surgical Center, Inc. or any business associates with whom we do business discovers a breach of unsecured protected health information. Right to a Paper Copy of This Notice. You have the right to a paper copy of this Notice, even if you have agreed to accept this Notice electronically. To obtain such a copy, please contact the appropriate person using the Contact Information at the end of this Notice. The Lasky Clinic Surgical Center, Inc. reserves the right to amend this Notice of Privacy Practices at any time in the future. Until such amendment is made, we are required by law to comply with the terms of this Notice currently in effect. After an amendment is made, the revised Notice of Privacy Protections will apply to all protected health information that we maintain, regardless of when it was created or received. We will keep a copy of the current notice posted in our reception area and a copy will be available at each appointment. We will also post the current notice on our website. 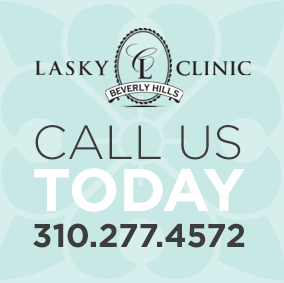 Conveniently located in Beverly Hills, California Lasky Clinic is the premiere destination for Plastic Surgery.